"Alphonse." 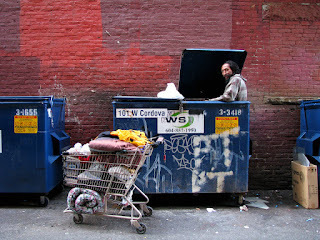 A dumpster-diver in Vancouver, Canada. A Wikimedia photo. Author unknown. 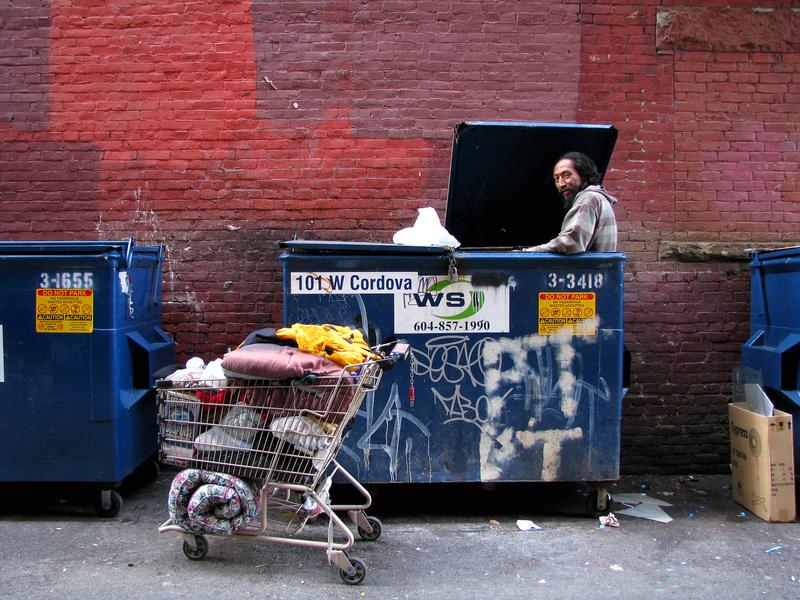 (Ottawa) Eighty two per cent of global wealth generated last year went to the richest one per cent, while the 3.7 billion people who make up the poorest half of humanity saw no increase, according to a new Oxfam report. Story here.